Arsenal defender Carl Jenkinson has reminded us all that he still exists by somehow ending up in the club’s latest Europa League matchday squad. The 26-year-old at one point looked a promising young talent for the Gunners, but it’s fair to say things haven’t really worked out for him at the Emirates Stadium. After recent spells on loan with West Ham and Birmingham City, Jenkinson is now back at Arsenal this season, though he’s not exactly been up to much. Now, however, football.london report that he could be involved against Sporting Lisbon in the Europa League this week, which would be…interesting. Also in the squad are two players actually likely to make some kind of impact – defender Sokratis Papastathopoulos and midfielder Mohamed Elneny, both of whom are back from injury, according to football.london. 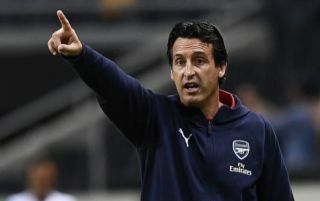 Emery won the Europa League three times in his spell at Sevilla earlier in his career, and it would be a pretty decent introduction for him at Arsenal if he could lift the trophy in his first season in charge of the Gunners.